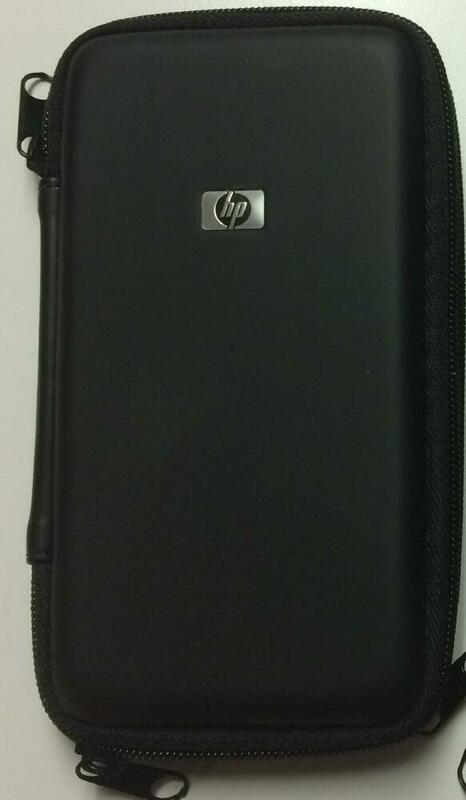 This is genuine HP case for the HP35s calculators. It is the clamshell style case with double zipper for maximum protection and ease of portability. It is also compatible with most HP financial and scientific calculators including but not limited to: HP10B, HP10BII, HP10BII+, HP11C, HP12C, HP12C Platinum, HP15C, HP15CLE, HP16C, HP17B, HP17BII, HP17BII+, HP32S, HP32SII, HP33S, HP35S, and the HP42S. We also sell a compatible case that is of the same quality but less expensive. H(Height) x W(Width) x D(Depth or thickness) = 6.25" x 3.25" x 0.8"
If your calculator model is within the above dimensions, then it will fit perfectly inside this Clamshell Style case.